Texting used to be nothing more than a form of entertainment for teens and young adults who wanted to stay in touch—constantly—with their friends. But these days, texting is a business tool, and a serious one at that. Businesses are using texting as a means of inter-office communication and as a way to reach out to business contacts and even customers. And while your smartphone comes with its own, perfectly serviceable texting app, if you’re relying on that alone to fill your texting needs, you might be missing out. A third-party texting app can offer more features and an improved design and save you money as it won’t rely on your monthly messaging plan. Here are five to consider. Business users will appreciate the Broadcast feature, which lets you send a group message that recipients see individually. Any roundup of text messaging apps has to include a mention of WhatsApp, which was purchased by Facebook earlier this year. That move thrust this already incredibly popular app directly into the tech world’s limelight. And for good reason: WhatsApp is reasonably priced (free for the first year; 99 cents per year after that), works on a variety of platforms (Android, BlackBerry, iOS, Symbian, and Windows Phone), and sports a clean, easy-to-use design. It also features a massive user base—more than 500 million people—which is important since you can only connect with other What'sApp users. I was pleasantly surprised to see several of my contacts on there when I loaded the app. WhatsApp lets you send photos and videos, share your location, and create group chats. The downsides of WhatsApp? It’s widely regarded as a consumer app, so your business partners may balk at installing it, and it lacks a desktop component or a tablet version, which many of its rivals offer. TextSecure’s interface is all business, fitting for this security-minded app. 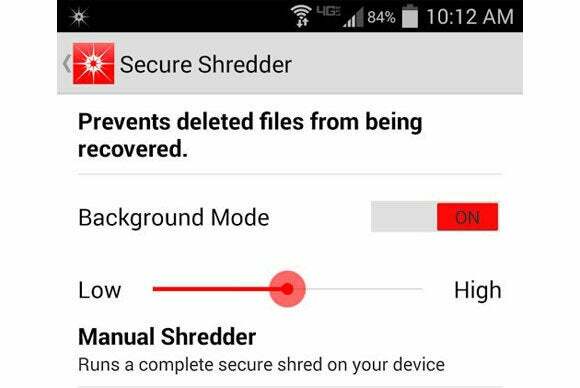 Business users looking for more security will appreciate TextSecure, a free app for Android phones. It adds end-to-end encryption to your messages, but only if you’re communicating with other TextSecure users. Since TextSecure only works on Android phones and isn’t exactly a household name, its user base is limited. Luckily, you can use it to text anyone on your contact list, but those messages will not be encrypted—something TextSecure notifies you of automatically. 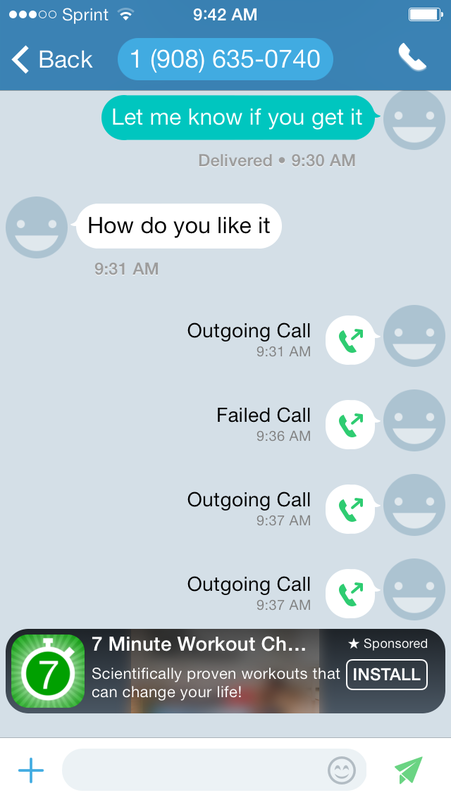 TextSecure’s interface is not going to wow potential users, but the app is perfectly serviceable and easy to use. Wickr’s security tools go beyond self-destructing messages; it also erases deleted messages from your device. Cue the "Mission: Impossible" theme song. Wickr, a free app for Android and iOS, is something straight out of spy fantasies. It’s capable of delivering what it says are “top secret” messages to fellow Wickr users—ones that disappear after a select interval. You can send text, photos, or videos to a single user or a group, and if one of the users is not on Wickr, they will receive an invitation to join the service. You also set an expiration point for the message, anywhere from three seconds to six days. Wickr says all messages are “forensically wiped” after they expire and that the service users peer-to-peer encryption to protect all of the data it transmits. It also allows you to delete location data and claims to never store your messages or user information on the company’s servers. Some of its features, such as the ability to add graffiti to your messages, are a little lighthearted for business use, but overall Wickr has the potential to be a solid professional tool. 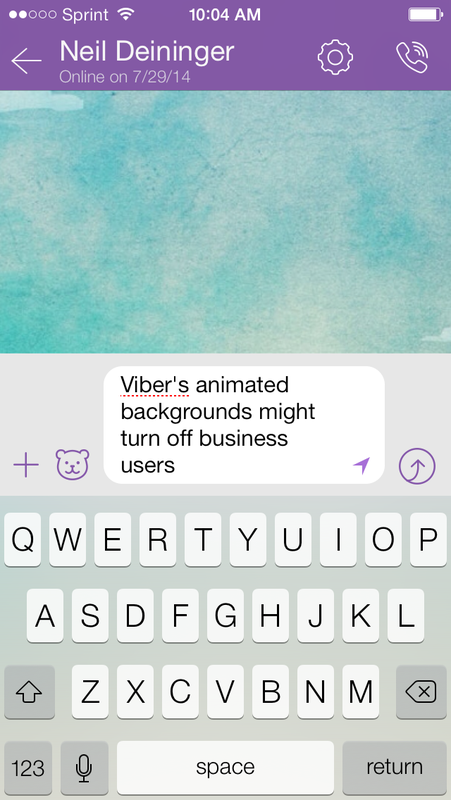 Viber doesn’t look like a business app, but that doesn’t mean it doesn’t have business potential. In some respects, it’s almost unfair to call Viber a texting app because, really, it does a lot more than that. This free app works with Android, Bada, BlackBerry, iOS, Nokia, and Windows Phones, as well as on Windows, Linux, and Mac desktops. It lets you connect to other Viber users for free via voice, video, or text messaging and make voice calls to non-users when you buy Viber Out credits. Some of its texting features will turn off business users, especially its animated backgrounds and emoticons. But I like its ability to bring your text messages to your desktop computer, even in the middle of a chat session. Text Me tracks all of your communications in one window, which is a nice touch. Unfortunately, it shows ads, too. Despite its name, Text Me offers more than just texting. This free app lets you make voice and video calls, too. It works with Android, iOS and Windows Phones and lets you send messages to and from folks who aren’t using the app on their end—a nice plus if you don’t want to convince your friends and colleagues to download an app. The downside is that Text Me requires you to sign up for a new number, likely to be a big issue for business folks who have already shared contact info with coworkers and clients. You’ll also need to purchase Text Me credits if you’d like to send international SMS or make calls to non-Text Me users.